The Koren Specific Technique (KST) is a form of applied kinesiology in chiropractic medicine. KST is a protocol used in chiropractic care to locate and correct areas of subluxation, distortion and blockage. The first step for a chiropractor using KST is to analyze the body’s structural system, including spine, hips, arms and legs. Basically, anything that is out of position can be analyzed. Analysis of a patient is done using the binary properties of the body's holographic communication system. The second step is to identify any body parts out of proper position using the occipital drop. Correction is step three. With KST, a chiropractor uses the ArthoStim adjusting device, which is FDA approved. This instrument delivers a very precise adjustment. It introduces energy and force to remove nerve pressure and misaligned bones and discs. All around, the chiropractic adjustment is fast, low force, accurate and controlled. Patients can also receive this adjustment technique in different postures, such as standing, sitting and/or moving. KST is a very different and innovative chiropractic technique for subluxation correction. It allows a chiropractor to analyze various health problems, focuses on where and what to adjust and works on the entire body, including spine, pelvis and cranial. It targets the most important problem, and this makes for a faster recovery. Plus, it’s gentle, comfortable and safe. It’s often used to treat subluxations, degenerative disc disease, herniated disc, protruding disc, fibromyalgia, headaches, joint pain and sciatica. Dr. Daniel Secrest, DC was the first chiropractor to bring the KST technique to the Scottsdale, Tempe, Mesa, Chandler, Paradise Valley, Fountain Hills and Phoenix areas. He did this because he discovered that patients can be better analyzed through KST. In addition, KST allows for specific structural corrections to each patient’s unique needs. Depending on your condition, Dr. Daniel Secrest, DC may integrate other therapeutic treatment modalities in your treatment plan with KST. Patients treatment plans with KST may include low level laser therapy, deep tissue therapeutic massage, corrective exercises, trigger point therapy, nutritional counseling and physiotherapy. 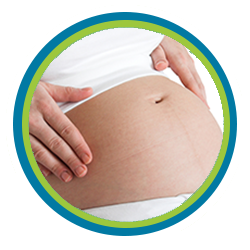 Each therapeutic treatment modality is designed to work synergistically with KST. For example, as an adjunct to KST, massage therapy helps relax the muscles and improves circulation of nutrients to the affected area to accelerate the body’s natural healing process. Low level laser therapy uses concentrated light energy to penetrate deeply to the injured area and reduces pain and inflammation. 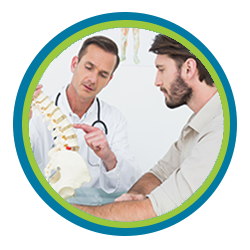 If you’re in pain due to a spinal condition or injury, turn to Secrest Family Chiropractic for an effective treatment plan. KST just might be the solution. Give us a call at (480) 994-4411 to schedule free consultation today!